Sharon was born on June 30, 1953 and raised in Weehawken, New Jersey. She graduated from Bard College and received her medical degree from Albert Einstein College of Medicine in New York City. She was the Chief Resident in Pediatrics at Emory University and completed her fellowship in Pediatric Nephrology at St. Christopher’s Hospital for Children in Philadelphia. 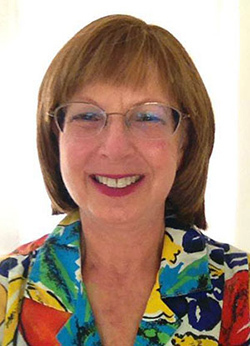 Sharon initially practiced pediatric nephrology at the Medical College of Georgia (MCG) in Augusta, and then spent 6 years in private practice pediatric nephrology in St. Petersburg and Tampa. She joined the University of South Florida (USF) Division of Pediatrics in 1994, and served as the Medical Director of the Dialysis Unit and Division Director of Nephrology at All Children’s Hospital for more than 20 years. She was the Chief of Staff at All Children’s Hospital from 2008-2009. Sharon received a “Teacher of the Year Award” at MCG and three “Attending Physician of the Year” awards at USF, and also received the Councill C. Rudolph Award from Johns Hopkins All Children’s Hospital Medical Staff. In 2015, USF Department of Pediatrics established the Sharon A. Perlman Award of Excellence to be awarded to a graduating resident for excellence in patient care, strength of character, and outstanding leadership. Sharon was extremely active in the leadership of ASPN. She served on the ASPN council from 2006-2016 and was a Secretary-Treasurer and President-Elect of ASPN. Sharon’s illness prevented her from serving as ASPN President, but she nonetheless continued her dedicated work for the Society. Sharon’s contributions through membership on the Renal Physician’s Association Board, the AMA Practice Improvement Group for Pediatric Nephrology and Kidney Care Partners were invaluable. Her many contacts in, and knowledge of, Congress have been instrumental in our public policy work, and her contributions to the JELF Scholars program at multiple levels–practical, emotional and financial–have been essential to its success. Most of all, Sharon’s ongoing commitment to the missions of ASPN have been paramount. That she has accomplished all that she has for us, while functioning as a pure clinician in a virtually non-academic practice, is remarkable. Sharon’s contributions to ASPN were recognized this year by her receiving the ASPN Founder’s Award, the highest honor that can be given to a member of our society. Sharon was an avid adventurer and scuba diver. She traveled the world, mostly to explore the undersea treasures. She rescued Greyhounds and was part of the initial Pet Therapy Program with her Greyhounds at All Children’s Hospital, bringing joy to the patients and staff. Dr. Perlman is survived by her loving and adoring husband, Ron Frankel, two daughters, Jaymie and Meagen, two beautiful grandchildren, Jackson and Allison, her two sisters, Lauren and Robin, and many nephews and nieces.